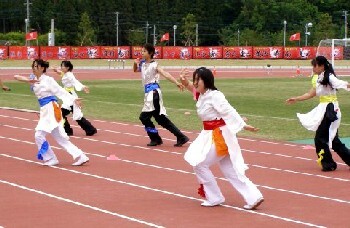 The Golden Week holiday saw a midweek programme of JFL fixtures, with leaders YKK AP finally surrendering their 100% record. Indeed, they had to come from two goals down to claim a point at draw specialists SC Tottori, who've now tied no fewer than six of their eight games so far. Local rivals Alo's Hokuriku now trail YKK only on goal diference, as they won 1-0 at a Sagawa Printing side who have now sunk to the bottom of the league following a disastrous start to the new campaign. Honda FC move back up to third, a late Yuki Tasaka goal proving enough to inflict a first defeat of the year upon Yokogawa Musashino. Tochigi SC also lost for the first time, 2-1 at Sagawa Kyubin Osaka, while there were also defeats for Rosso Kumamoto and Sagawa Kyubin Tokyo on the fringes of the title race. A 2-1 defeat at FC Kariya continued promoted FC Ryukyu's miserable start to the year, although Miyazaki's Honda Lock picked up their first victory of 2006 by the same scoreline as they came from behind with two goals early in the second half to beat Mitsubishi Mizushima. 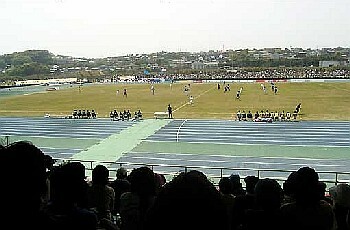 The game of the round, however, came at Ryutsu Keizai University, who raced into a three-goal lead within half an hour against JEF Club. But the visitors pulled one back just before half-time and two second half goals from Danilo contributed to a remarkable 5-3 win. 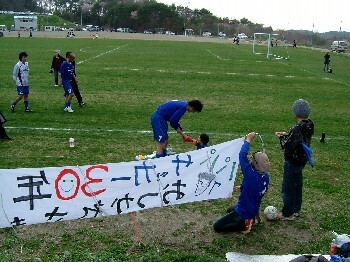 There were games on Sunday in all three divisions of the Tohoku League, covering the northern end of Honshu island. In Division 1, the first two games of the new season saw Fukushima-based FC Primeiro gain a 2-1 win at Nippon Steel Kamaishi, while NEC Tokin held Wiese Shiogama to a goalless draw. The most interesting early season fixture, however, was a rare midweek encounter that saw last season's champions Grulla Morioka squeeze past local rivals Morioka Zebra 2-1. 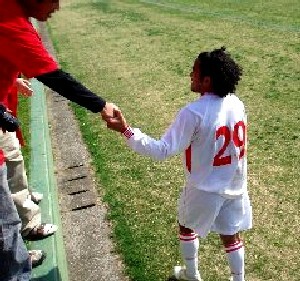 In Division 2, newly-promoted Vanrarure Hachinohe went down 2-0 at home to northern section favourites FC Akita Cambiare. 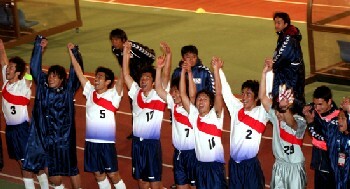 There were three matches in the southern division, Marisol Matsushima hammering perennial strugglers Kanai Club 4-1, although the sides promoted from the Prefectural Leagues had differing first experiences of Regional League football. Shichigahama SC managed a 3-2 win at Kureha Chemicals, but another Fukushima side - FC Perada - went down 1-0 at Northern Peaks Koriyama. A major win for New Wave Kitakyushu on Saturday brought Volca Kagoshima's early season Kyushu League challenge crashing to a halt. Three first-half goals put New Wave into an unassailable lead, pushing themselves back into the fringe of the title race and ending Volca's own 100% record. Top of the division now, however, are Nippon Steel Oita, who continued their superb start with a 6-0 crushing of bottom side Kaiho Bank SC, while three points behind with a game in hand are V Varen Nagasaki, who needed to come from behind to claim a 3-2 win over Okinawa Kariyushi. The other weekend fixture served to underline the dfficulty of the task facing Nanakuma Tombies as the former Fukuoka University students' side aim to survive their first-ever season at Regional League level, as they lost 6-2 at Mitsubishi Heavy Industries Nagasaki. 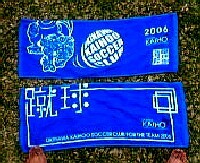 Anyone for a Kaiho Bank SC towel?